We do have the mold in stock and more can be produced - If item is not in stock and is to be built, please contact us to check shop's build schedule. This item is a built to order polar bear costume with animatronic facial fetures. The fur is hand-wefted to Animal Makers' specifications. A tough, spandex backing wefted with a mix of artificial and natural fibers. Facial animation includes: (1) mouth opens/shuts; (2) upper lip lifts/drop; (3) lower lip lifts/drops; (4) ears move; (5) eyes blink. This is a tall suit that is about 7' tall. Sizes shown is for the largest of the cases. There are two cases that ship this figure. One case is 30" X 30", and the second case is 36" X 24" X 24". 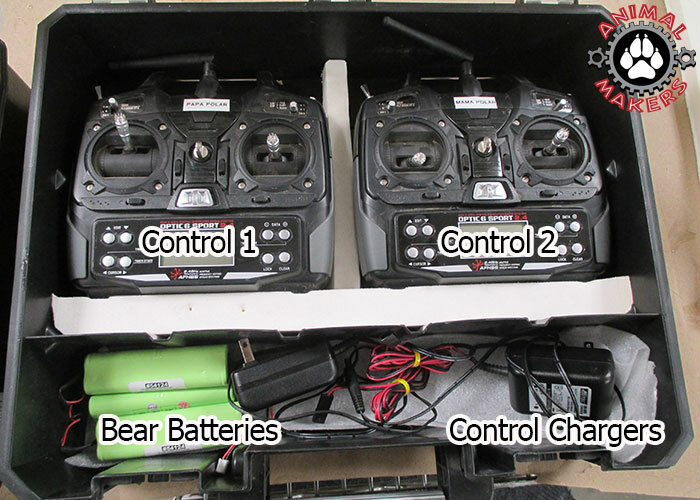 that come with each bear costume are shown here and include: (1) radio controller, (1) radio controller charger, (2) large bear batteries, (1) large bear battery charger, connector cables for fans and animation. 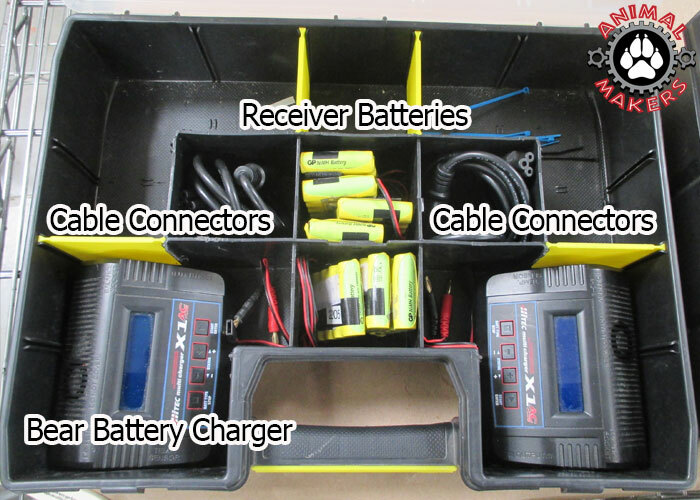 The electrical snaps together quickly with specific plugs that only match the right thing to plug into it. To add animatronics to your rental, click double under the controller options. Osos de Coca-Cola rechazan a la Pepsi! "Summer Time is Pepsi Time Uncle Teddy"